Backlinks is the most important factor in the ranking of a website on the search engines like Google, Yahoo, Bing, Baidu, Yandex etc. Creating backlinks is always a challenging task. Every Seo spends several hours of time creating quality and effective backlinks for their websites. 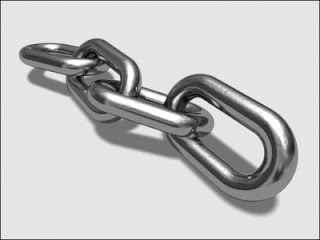 Backlinks- The power behind the rankings! Backlinks can give your website tremendous power (domain authority, reputation, popularity, traffic) and helps your website to fulfill its goal of successful conversions and profits. Directory Submission - The oldest method of building backlinks. You may submit your website to quality directories in order to get a link. By quality website, I mean quality in terms of traffic and user friendliness. Site Page Rank has nothing to do with the quality of the site. Domain authority matters but every signal should be checked to judge the relevance of a website. Note:- Directory submission still works after the Panda and the Penguin update but only for top directories. Forum Posting- Another great way to build backlinks but this method is slowly declining. Now quality forums rarely provides instant signature links because of excessive spamming. To continue building links this way, you need to have patience, must contribute to the community before actually getting a signature link. Links from quality forums would work but again the measurement of quality relies upon several standards. Article Submission- This method is still in used widely by almost every Seo company. Make sure you submit quality and original content on the directories in order to contribute towards the growth of the community. Social Bookmarking- The most effective way of link building as it get you instant visits. Web 2.0 sites are a great way to share the buzz about your company. This strategy still works well. Again quality matters the most. Blogging - Blogging is one of the most preferred ways of creating backlinks. You may create blogs, add unique content on them on daily or weekly basis and get links. But make sure the quality of the content should be nice. Guest Blogging- You need to submit a guest post on other popular blogs in order to get a link back to your site. Content Curation- Article submission is slowly getting replaced by content curation. Under the content curation, the need for creating articles is eliminated and one can use the existing content on the web to create something unique and user friendly. Press Releases- Exploring the power of Press Releases can give you some high authority of links. There are several Press Release sites which puts your release on various news resources along with the backlink.This helps in generating high domain authority links. Sponsoring Events- You may sponsor some event and ask them politely to link back to your website. This really helps. Free widgets- Create some free widgets and distribute them for free.This helps in getting some nice backlinks as people link to useful resources on the web. Rss feeds- Create and distribute your site feeds to several directories and feeder sites. This could give you some more backlinks. Provide images on your site- If its possible then you can provide images on your website. People often search for images online and link to them after using them on their website. Provide quality content on your site and have some patience to let people link to your website. If your site is genuine, provides quality content, people love visiting then you don't need to rely upon these tactics. People would naturally link to your site. So go for it! Great advice.All the backlink building techniques you mention above are possibly the best methods of having the job done.Some online marketers spend money investing in backlink building tools and iam opposed to such an idea.This usually puts you in hot water with the search engines.Even link exchanging is not a great idea neither.It is best for one to stick to these legitimate ways than invest in marketing tools.Maybe if one is a pro in a certain field one can then write an ebook and then put backlinks in it. Thanks a lot admin. this article helps me to do work in the right direction. This is a nice and informative article, meaning full guidance. Thanks.